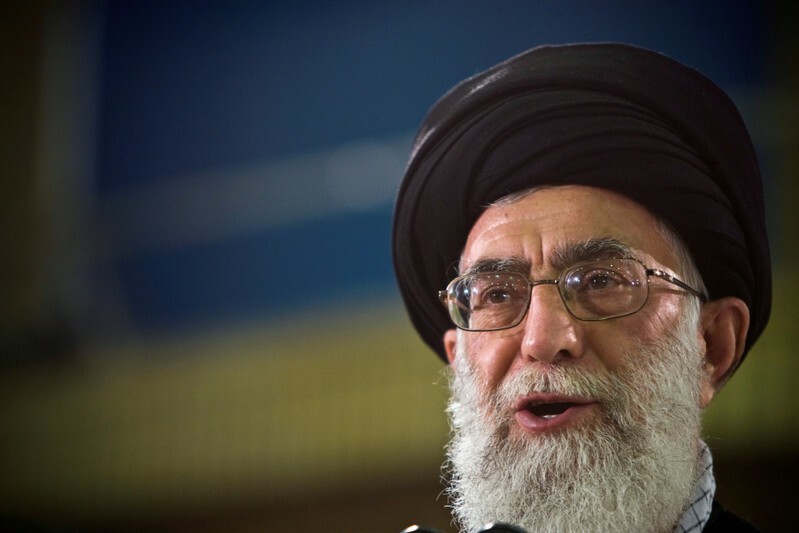 DUBAI (Reuters) – Iran’s top authority Supreme Leader Ayatollah Ali Khamenei has replaced the head of the influential Revolutionary Guards Corps, state TV reported on Sunday, days after the United States designated the elite group a foreign terrorist organization. The TV station did not give a reason for the change when it announced the appointment of Brigadier General Hossein Salami to the position. Major General Jafari had held the post since September 2007. President Donald Trump on April 8 designated the Guards a terrorist organization, in an unprecedented step that drew Iranian condemnation and raised concerns about retaliatory attacks on U.S. forces. The designation took effect on April 15. Tehran retaliated by naming the United States Central Command (CENTCOM) as a terrorist organization and the U.S. government as a sponsor of terrorism. The IRGC is in charge of Iran’s ballistic missile and nuclear programs. 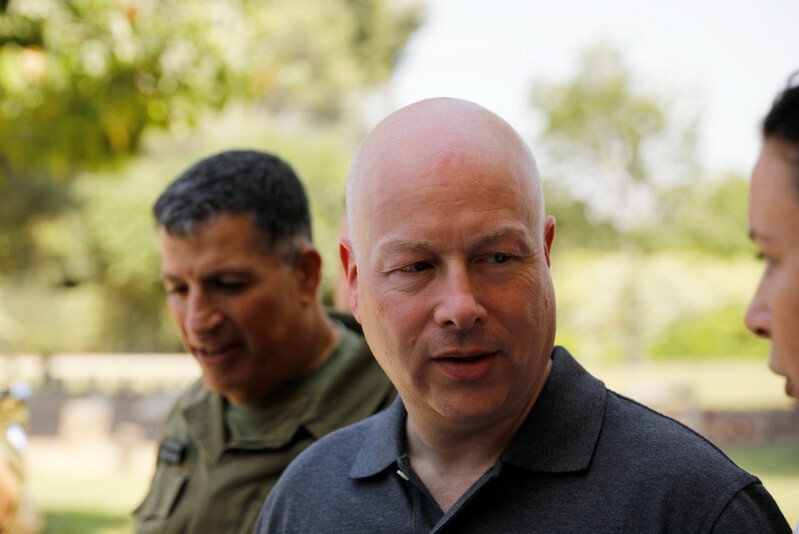 Tehran has warned that it has missiles with a range of up to 2,000 kms (1,242 miles), putting Israel and U.S. military bases in the region within reach. Salami, born in 1960, said in January that Iran’s strategy was to wipe “the Zionist regime” (Israel) off the political map, Iran’s state TV reported. Israel sees Iran’s nuclear and ballistic missile programs as a threat to its existence. Iran says its nuclear work is for peaceful purposes only. Health experts say the virus, which can cause severe complications and even death, has spread mostly among school-age children whose parents declined to get them vaccinated. Most profess philosophical or religious reasons, or cite concerns – debunked by medical science – that the three-way measles-mumps-rubella (MMR) vaccine may cause autism. The judge rejected the parents’ contention that the vaccination order was excessive or coercive, noting it does not call for forcibly administering the vaccine to those who refuse it. He also dismissed assertions in the petition disputing the “clear and present danger” of the outbreak. “Vaccination is known to extinguish the fire of contagion,” the judge said. The vaccination order, which was extended this week, requires residents of certain affected Brooklyn neighborhoods to obtain the MMR vaccine unless they can otherwise demonstrate immunity to measles, or face a fine. The court challenge was brought in Brooklyn’s Supreme Court by five people identified only as parents living in the affected neighborhoods. Their identities were kept confidential to protect their children’s’ privacy, their lawyers said. In court on Thursday, they told Knipel the city had overstepped its authority and that quarantining the infected would be a preferable approach. Outspoken actor James Woods says firebrand freshman Rep. Ilhan Omar, D-Minn., is a “blessing in disguise” for conservatives in 2020. The 71-year-ol Woods argued Omar “genuinely doesn’t recognize” the “deeply embedded” hatred she espouses. Rep. Omar has come under fire for her controversial comments about Israel, and U.S. support of the nation — and most recently, for comments that were interpreted by conservatives as dismissive of the 9/11 terror attacks. In a CNN interview this week, House Speaker Nancy Pelosi, D-Calif., argued there is “no taint” of anti-Semitism within the Democratic Party, and said she had not spoken to Omar about her controversial comments. “You are a memorial postage stamp at best,” Woods mocked, dismissing progressive women in Congress as “#ThreeWitchesOfTheEast,” in what may have been a slam at Reps. Alexandria Ocasio-Cortez, D-N.Y., Rashida Tlaib, D-Mich., and Omar, Western Journal reported. JERUSALEM (Reuters) – Israel’s president on Wednesday nominated Prime Minister Benjamin Netanyahu to head the next government, after he won the backing of a majority of members of parliament following an April 9 election. In office for the past decade, Netanyahu won a fifth term despite an announcement by Attorney General Avichai Mandelblit in February that he intends to charge the prime minister in three corruption cases. Netanyahu has denied any wrongdoing. 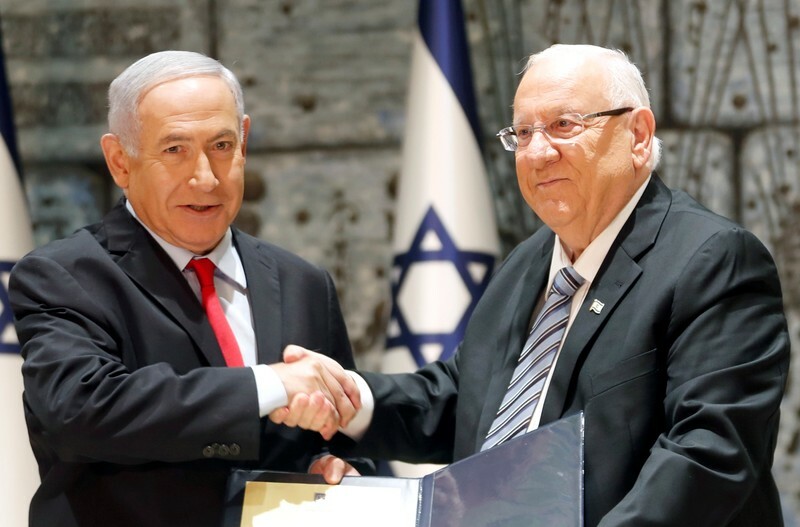 “At a time of great turmoil in our region, we have managed not only to maintain the state’s security and stability, we have even managed to turn Israel into a rising world power,” Netanyahu said at the nomination ceremony after President Reuven Rivlin gave him the mandate to form a new government. Netanyahu has 28 days, with a two-week extension if needed, to complete the task. If, as seems likely, he succeeds, he will become in July Israel’s longest-serving prime minister. Netanyahu has said he intends to build a coalition with five far-right, right-wing and ultra-Orthodox Jewish parties that would give the government, led by his Likud party, 65 seats. No party has ever won an outright majority in the 120-seat Knesset. Among the most pressing issues awaiting the new government will be U.S. President Donald Trump’s Middle East peace plan to end the Palestinian-Israeli conflict. Trump’s senior adviser Jared Kushner said on Wednesday it would be unveiled once the new Israeli government is in place and after the Muslim holiday of Ramadan, which ends in early June. The plan, Kushner said, would require compromise by all parties. A right-wing coalition in Israel would, however, likely object to any proposed territorial concessions to the Palestinians, who are boycotting the Trump administration over what they see as its pro-Israel bias. Such a coalition would also be less likely to pressure Netanyahu to step down if he is indicted for corruption. Netanyahu is under no legal obligation to resign if charges are brought against him and has said he plans to serve Israel for many more years. He can still argue, at a pre-trial hearing whose date has not been set, against the formal filing of bribery and fraud charges against him. The election, brought forward from November, was widely seen in Israel as a bid by Netanyahu to win a renewed mandate in the hopes that it would strengthen his hand in the legal proceedings against him. “I am not afraid of threats and I am not deterred by the media. The public has given me its full confidence, clearly and unequivocally, and I will continue to do everything in order to serve you, the citizens of Israel,” he said on Facebook on Tuesday. 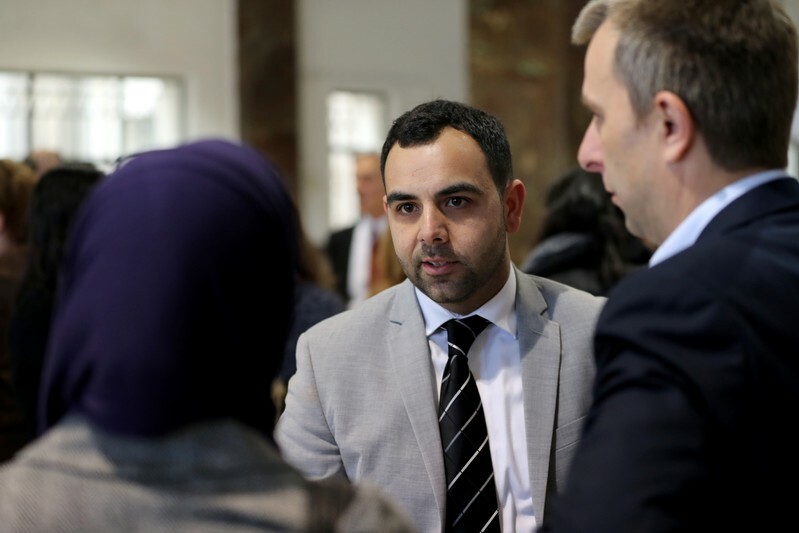 JERUSALEM (Reuters) – The director of the Israeli office of Human Rights Watch on Tuesday lost his appeal against deportation, having been accused of promoting pro-Palestinian boycotts of Israel, the Justice Ministry said. Omar Shakir had contested the revocation of his work permit last year. The New York-based watchdog has cast his case as a bid to suppress global criticism of Israel’s treatment of Palestinians. Human Right Watch called the ruling “a new and dangerous interpretation of the law”, and said it would appeal to Israel’s Supreme Court and seek an injunction to let Shakir stay in Israel until any appeal was heard. In its ruling on Tuesday, the Jerusalem District Court said that Shakir supported the boycott of Israel and of Israeli settlements in the occupied West Bank. 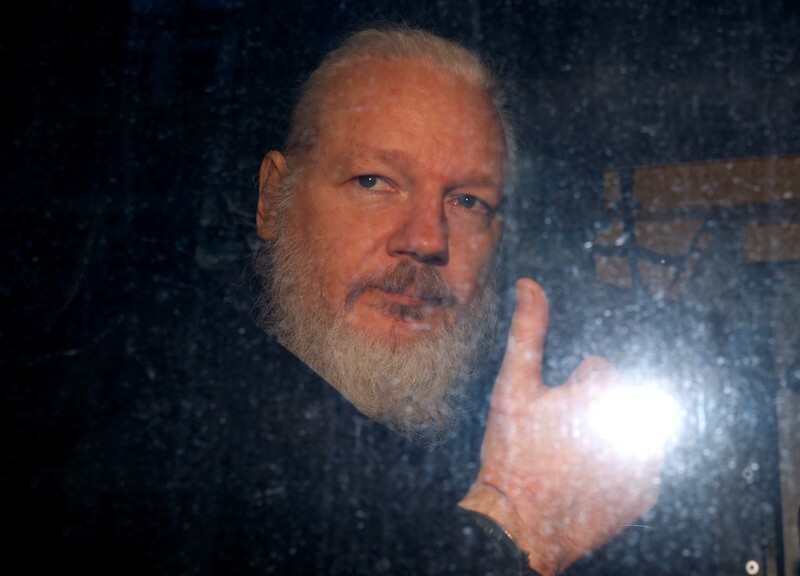 It gave him until May 1 to leave the country. “The appellant continues to call publicly for a boycott of Israel, or parts of it, while at the same time asking (Israel) to open its doors to him,” said the ruling distributed by the Justice Ministry. Human Right Watch said that neither it nor Shakir as its representative promoted boycotts of Israel. “The decision sends the chilling message that those who criticize the involvement of businesses in serious abuses in Israeli settlements risk being barred from Israel and the Israeli-occupied West Bank,” said Tom Porteous, deputy program director at Human Rights Watch. Israeli Strategic Affairs Minister Gilad Erdan welcomed the court’s decision. “We will not allow the promotion of boycotts under the disguise of ‘human rights activists’ as Shakir did,” Erdan said on Twitter. The Palestinians and many countries consider settlements to be illegal under international law. Israel disputes this, citing security needs and biblical, historical and political connections to the land. The Palestinians want to establish a state in the West Bank, east Jerusalem and the Gaza Strip, territories Israel captured in 1967. Israel has annexed east Jerusalem and withdrawn from Gaza. The West Bank remains under Israeli military occupation with limited Palestinian self rule. Forget about an apology from the president, he said, despite Rep. Omar’s claims she has been receiving death threats for her comments about 9/11, which she adds were incited by the president’s rebuke of her positions. President Trump had tweeted out a video of Rep. Omar’s comments about 9/11 and he told ABC-5 he has no regrets having done so. “You raised the issue I’m a millionaire,” he said, adding: “It came from a book that I wrote, pretty good book, you might want to read it . . . and we made money. If anyone thinks that I should apologize for writing a best-selling book, I’m sorry, I’m not going to do it. “I think that she has got to do a better job in speaking to the Jewish community, but if your question to me is do I think she’s anti-Semitic, no, I don’t,” he said. “Here is the point, also, I’m Jewish. I lost my father’s family, devastated by Hitler, so this is an issue of some sensitivity to me. I will do everything in my power, and I hope every member of Congress will fight not only anti-Semitism, but racism and anti-Muslim activity, so we create a nondiscriminatory society.